I was ready to test drive the next compact camera that arrived on my desk. 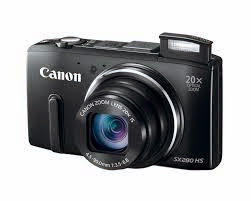 with a 30x optical zoom capability! 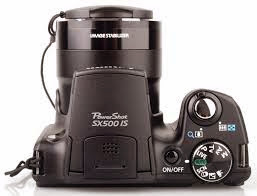 The PowerShot SX500's fastest continuous shooting speed is 0.8fps. Not even fast enough to shoot fish in a tank. 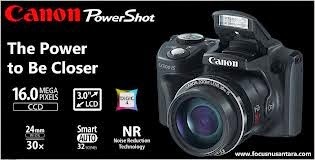 The PowerShot S500 has a 16 Megapixel CCD sensor. Best quality Superfine file size is between 7 - 9MB. in size. 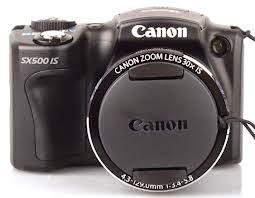 ISO range is 100 to 1600 and the shutter speeds range between 15 - 1/1600. A pair of forgotten shoes make for an interesting image. 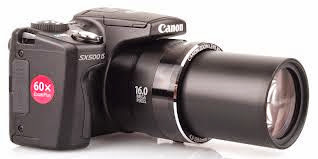 The major feature of the SX500IS is the 30x zoom function. 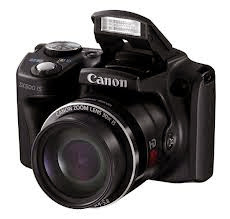 the "World's smallest 30x optical zoom camera when it launched. Up close the image quality is superb. My client on this shoot was so impressed that he went out and bought himself one! The built-in flash has a maximum range of 5 metres. however with this one you have to manually pull the flash up. For advanced photographers that should not be a problem. In fact it might almost be seen as a benefit. but with practice "flicking" it up will become second nature. the SX500 IS was good for less than 200. But, that is the price paid for the camera being so compact. 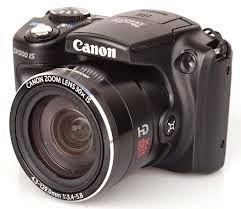 I used this compact camera to shoot images of my DSLR rig while doing a studio session. The "Discrete mode" function that disables the flash and turns off all sounds was my favourite setting. however once I got over that hurdle, it was plain sailing. At 24mm the image is clear and sharp. Up close, the camera offers alternative images of well known items. Depress the on/off button and the camera is ready for action in less than two seconds. Did YOU know that they are grown? They come from a plant that looks like a marrow. The camera is able to bring out the fine details. And this young impala ram. the camera has the ability to freeze action. In this case the water from the sprinkler system. This time the chain ring off a mountain bike. I specifically liked the fact that the camera moved seamlessly between the zoom settings. Allowing me to shoot both distance and close up without changing lenses. 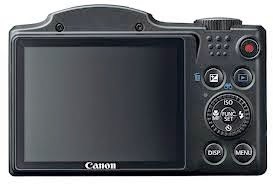 It offers ease of use and stunning quality images.